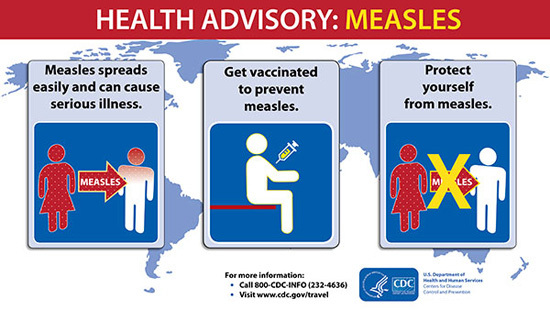 Get vaccinated to prevent measles. Measles spreads easily and can cause serious illness. : If you get a fever and a rash in the next three weeks, call a doctor. : Tell the doctor that you traveled.